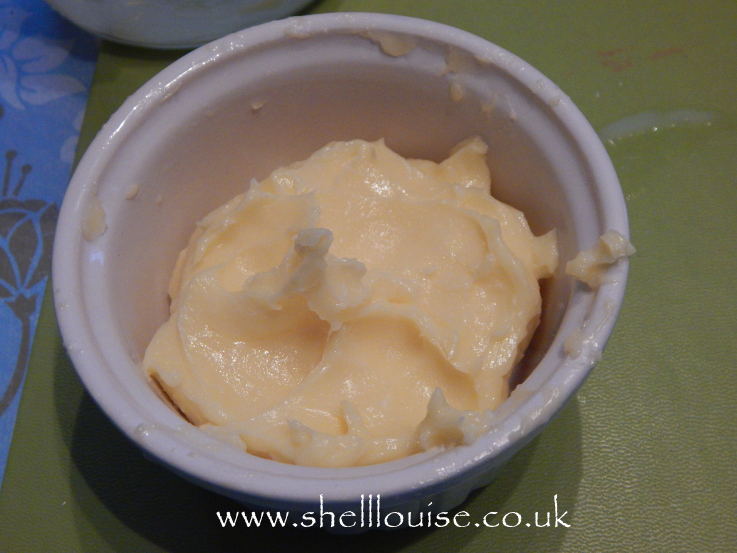 ﻿ Making butter sing cream leftover from Christmas - Ella loved it! Ella was given an Ella’s kitchen book for Christmas and on Sunday, she started looking through it for the first time. She absolutely loved it and couldn’t wait to pick something to make. Because we’ve still got lots of things left over from Christmas, I didn’t want to go shopping for ingredients so asked her to pick something to make from things we already had in. 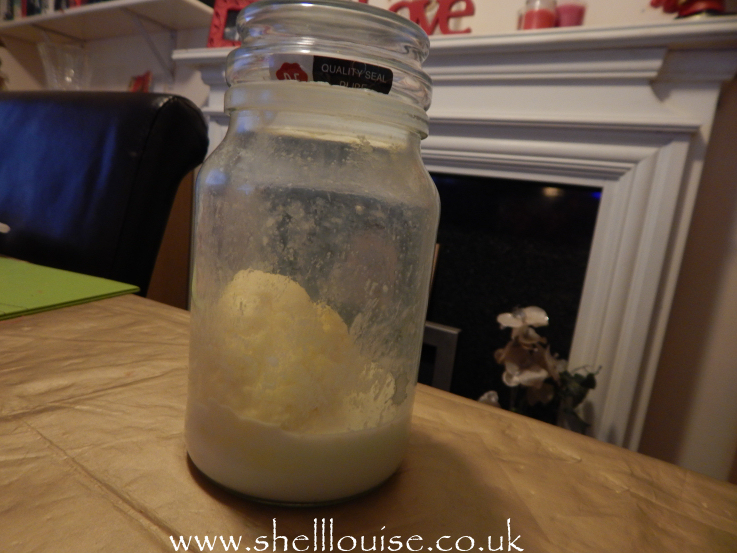 We shared the cream between the jars, put the lids on and the girls proceeded to shake! 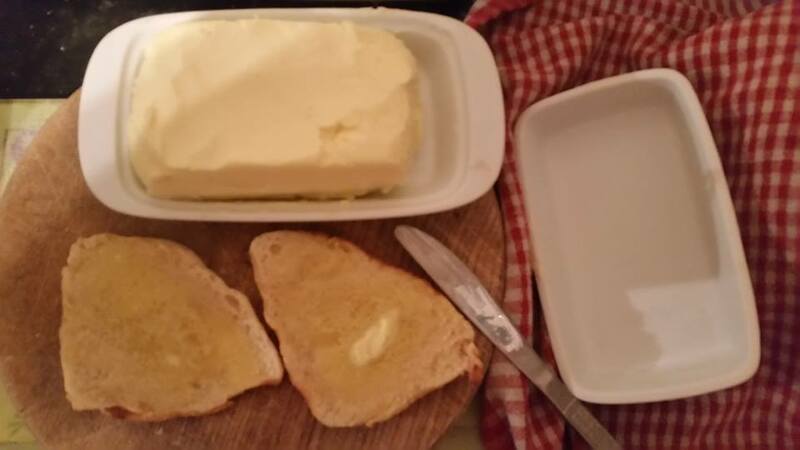 The book says it takes about 10 – 15 minutes for the cream to start turning to butter. The girls (and Ant!) didn’t think it was ever going to work but I told them to persevere. 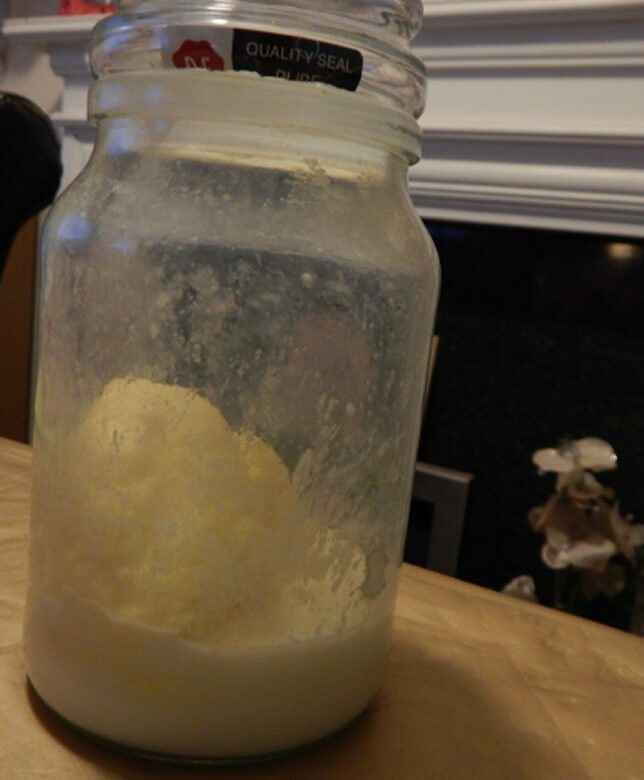 When you first start it coats the inside of the jar and you can’t see anything happening inside. After about 10 minutes, you get a big lump of over whipped cream and again, it doesn’t look like it’s ever going to change but all of a sudden. the buttermilk separates. 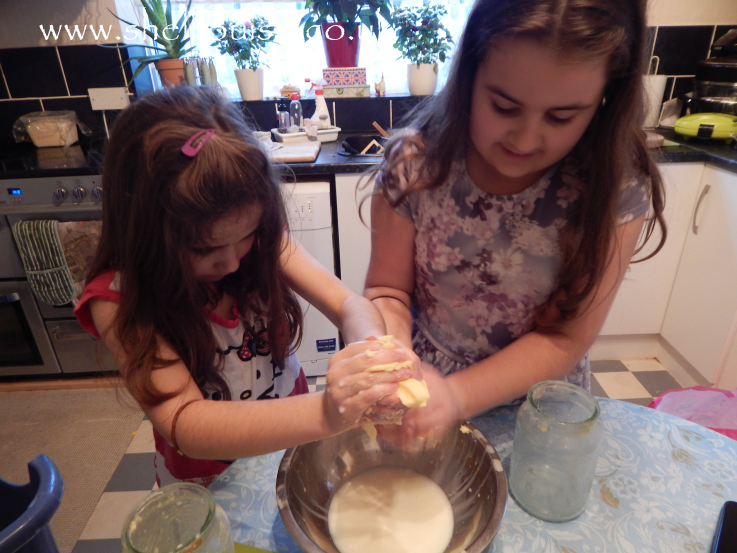 You then have to squeeze the rest of the buttermilk out of the butter using iced water. 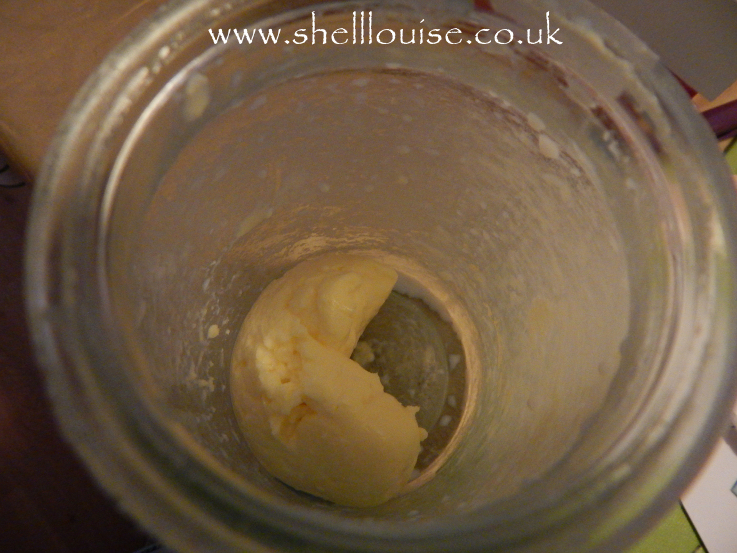 Getting the buttermilk out means the butter will last much longer.